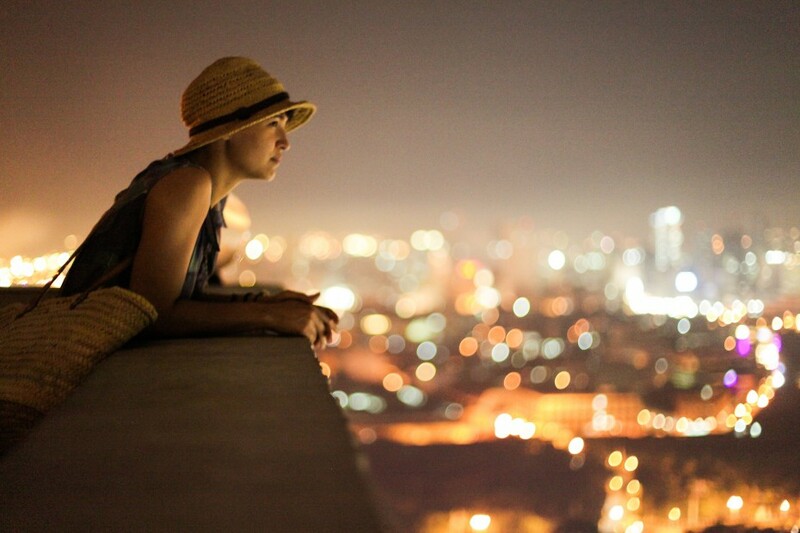 Mexican born photographer Ana Hop is a lover of travel, photography and interior design who studied Communications at The Ibero-American University before relocating to London to pursue photography at Central Saint Martins. After her studies in the UK, Ana returned to Mexico to make a living from photography and with a newfound freedom and perspective on her country. She first contributed to FvF in January 2013 with inspiring portraits from Mexico including Napoleon Habeica and Dirk-Jan Kinet, followed by Greg Rogove and Diana Garcia in Los Angeles. Today the design enthusiast works in fashion, commercial, and lifestyle photography for international brands and publications, including Converse, American Express, Esquire, Nylon, and National Geographic. She simultaneously pursues a portrait project called People You May Know that documents interesting people at home. Ana stays entertained with trips to the flea market and her adopted dog Emila, and explains how her career is the vehicle for her passion of meeting people from around the globe and exploring their various ways of life. This fall Ana looks forward to starting a new job as a magazine photo editor in Mexico. Stay on the pulse and have fun getting to know the fashion, portrait and design photographer who we have been so pleased to work with at FvF. First thing I do to wake up is drink coffee. I can’t miss it. I was just hired to edit a new magazine in Mexico City. I collaborate with National Geographic Traveler in Latin America and Casa Viva. I also work on my personal portrait project People You May Know and right now I am in charge of the new campaign of American Express as a photographer and coordinator. I will go to a park with my dog or flea markets. I love them. They’re so relaxing and entertaining. I love technology and I love to be connected with people around the world. I always have been really curious about different kinds of living. Your latest artistic discovery in music or design? Just few months ago I fell in love with Sixto Rodriguez. Maximo, a nice restaurant in Mexico City, where I enjoyed tuna, risotto and a chocolate dessert. I use Media Storm site a lot for details and research on documentary. Peanut Butter Thoughts has new content almost every day and I love to check out the photography part which I use to search for new portfolios and photography projects. Then there is this design site called sfgirlbybay from San Fransisco that I like because I love interior design and I can find photographers on there as well. Not to mention I like Nowness. Edward Norton, which probably doesn´t make sense. I have photographed an artist named Pedro Friedeberg, who is known for his surrealist work. I would love to see him on FvF. What photographers or artists have influenced you the most? James Nachtwey, Diane Arbus and Annie Leibovitz. Your favorite photography on FvF? Clara Balaguer. I haven´t been to the Philippines but I can get a sense of the weather and her city, Manilla. I love how part of her portrait was shot at night and we can see all the lights from the city in the background. Berlin artist Kelsey Brookes because I love his story about looking for his own way instead of living a life he was not sure of. I can feel his talent and bravery. Where will your next travel lead you to? I am thinking of Madrid, Paris or Cuba. 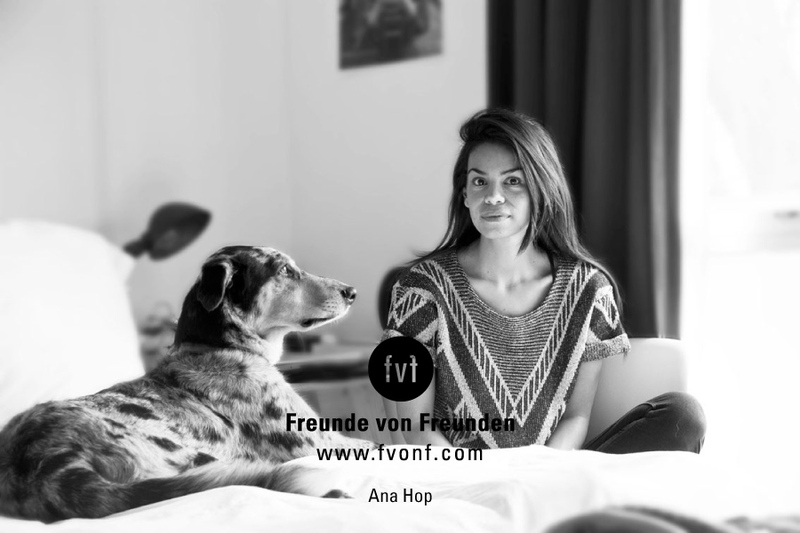 Thank you Ana for your continued work and contributions to FvF. Visit Ana’s website and portrait project here.